17 July 2018: The first patients have arrived at the brand-new University of Canberra Hospital (UCH) on campus. About 40 patients were admitted to the hospital on Tuesday as ACT Health began the first phase of transferring patients to the new facility from other care facilities around Canberra. The 140-bed hospital is Canberra’s only dedicated sub-acute care facility, specialising in rehabilitation and mental health care. Minister for Mental Health and acting Minister for Health and Wellbeing Shane Rattenbury said the new model of care would provide better support and recovery outcomes for patients. Some University staff members from the Faculty of Health relocated to the hospital last week in preparation for classes starting next month in the new state-of-the-art Clinical Education and Research Centre (CERC) – the University’s shared teaching and research space. Students studying health-related disciplines at the University will have access to the 1,600-square metre training space which includes a model ward, simulation suites, clinical training spaces and tutorial rooms. The education spaces within the CERC replicate the clinical spaces within UCH, allowing for staff and student education and training in a real-world environment. Students will also be able to complete clinical placements and work experience at the hospital, while academic staff will be able to take advantage of the hospital’s facilities for research purposes. Vice-Chancellor and President Professor Deep Saini said this latest milestone marked a significant leap forward for the University in a teaching and research capacity. 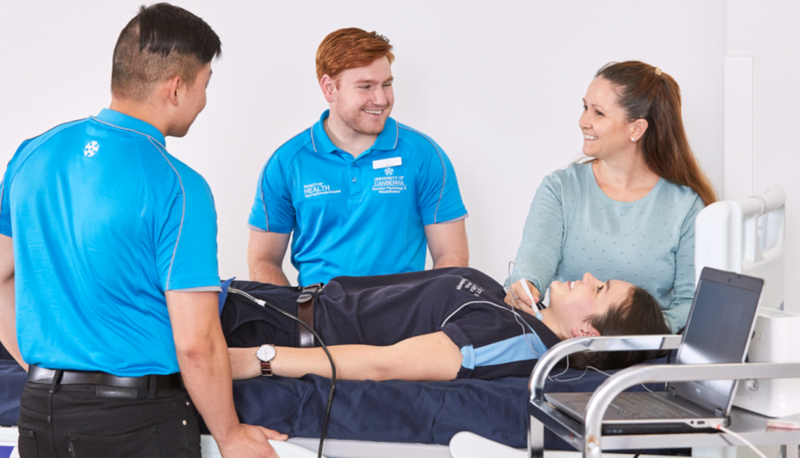 “The University of Canberra is currently developing a world-class Health Precinct on its campus to shape the careers of future health professionals and provide the best services to the community,” Professor Saini said. “The University of Canberra Hospital is the crown jewel in our growing Health Precinct and we’re so excited to see it is now operating. Other health facilities on campus include the University’s Health Hub, while construction of the Canberra Specialist Medical Centre is expected to be completed later this year.